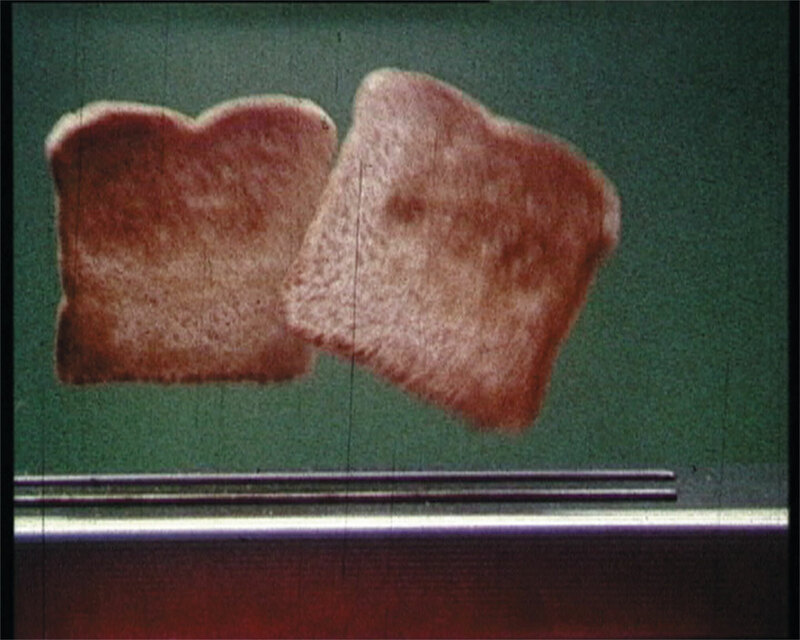 TOAST, film, 16mm, 1986, 1 min. Toast, buttered or not, is an example of commodification of food. Symbolic of a society where time is money, the toaster allows for instant gratification. Just be careful not to burn it. TOAST looks at the construction of desire through the mediated image. How the hunger for consumption leads to the demise of the object of desire, as a self-fullfilling system of destruction. A short film quoting the structure of television advertisements, TOAST works to create a parodic response to a perpetually growing advertisement and media culture. 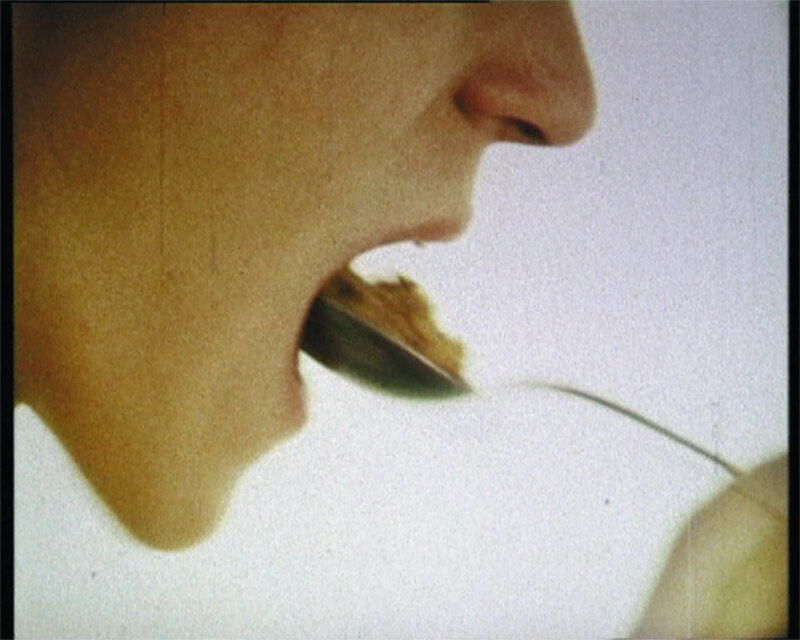 Through the appropriation of imagery found in product photography, the film discusses the construction and hunger of desire within a mediated experience. TOAST looks at how television produces an entropic system of desire, a system that will eventually devour itself, becoming obsolete in the wake of the new. A popular breakfast cereal, airtight and pre-packaged, it is always ready to be eaten. Snip-snap, cut open the bag and munch your way into commercial acceptability. CORNFLAKES takes inspiration from the slapstick comedies of television commercials, incorporating Pop sensibility and symbolism. A short film playing off of popular television commercials for breakfast cereal, CORNFLAKES is a parody designed to reflect the sensibilities of advertisement’s production of desire. Incorporating the speed and imagery of television at a time when ad power was flooding the ever expanding television markets, the film reflects the times of its production and its depicition of capitalism.